It's time for another Run - as well as a Big Bang. Mobile game fans are in for some cartoony fun later this year, as Ubisoft announced a pair of titles sure to grab their attention. First up is the long-awaited sequel to the popular Rayman: Jungle Run game, which made its debut on iOS and Android last year. 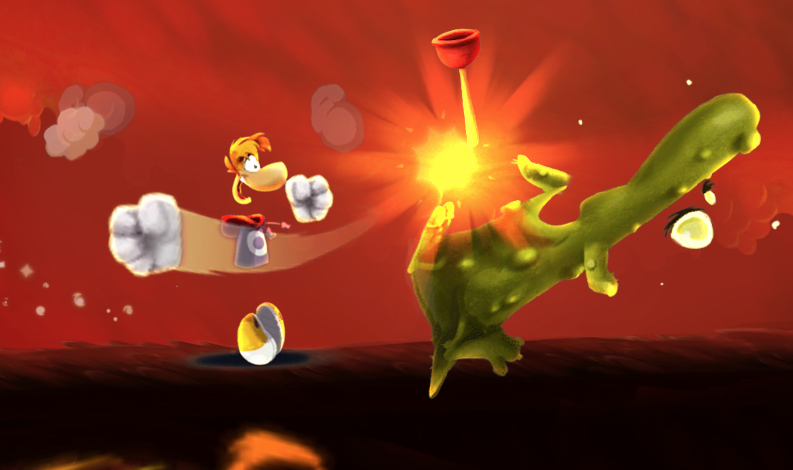 Titled Rayman: Fiesta Run, the game features 75 levels spread across four distinct worlds, along with "epic bosses" to take on and all-new invasion levels, all based around a "new wacky Fiesta world." The game is said to have better graphics than the original, which you can see in the teaser trailer below. Also in the works is Rabbids Big Bang, a game that lets you control the noisy yet lovable rabbit-like creatures as they work their way across space through 150 missions. They'll crash land on planets and bounce off space cows while using tools like jet pack boosts. Players will also be able to customize their Rabbids however they please, with a number of available outfits. Look for both of these games later this year.